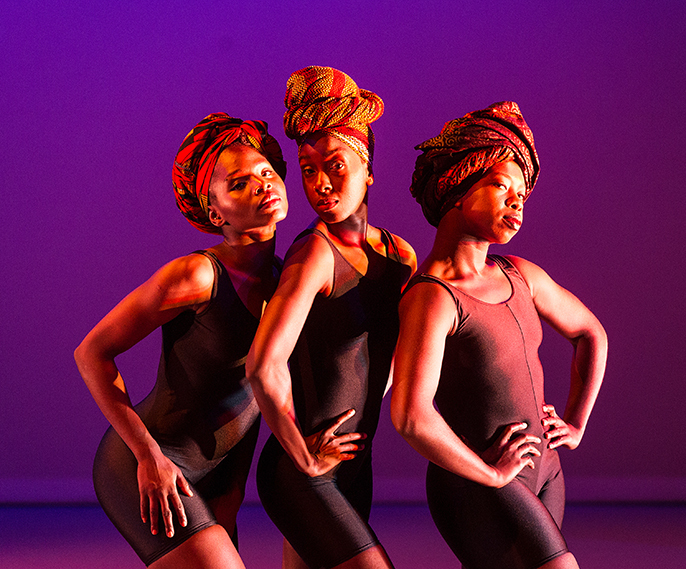 Three fierce, clever, witty dancers take us through stories of community, heritage, womanhood, friendship, and, most importantly, hair. Set within BE U Tiful, a South London hair salon, The Head Wrap Diaries takes you on a journey from childhood to the present, told through a unique blend of House, Waacking and Voguing fused with African and Contemporary dance, accompanied by an unbeatably good soundtrack of Afro-house, folk, jazz, and Ghanaian gospel. A multisensory pre-show installation will get you in the mood with specially commissioned art, poetry, and hair-related displays. After the show, stay for the Head Wrap Bar – your opportunity to meet the company, share your own experiences, try a drinkable hair-conditioning smoothie, and learn new head-wrapping techniques. Don’t forget to bring your fabrics! This performance is suitable for ages 5 and up.